We're open 8am to 6pm (Mon - Fri). 9am to 3pm (Sat). For top-notch auto repair look no further. in North Bend! Call Us Today! With more than 30 years of experience, we at Michael's Auto Center of North Bend guarantee high-quality work. We want to be your number one choice for engine repair, computer diagnostics and tune-ups. Call (425) 888-7777 today to schedule an appointment with the experts. Michael's Auto Center of North Bend: Quality work done at an honest price. For top-notch auto repair in the Snoqualmie Valley area, look no further than Michael's Auto Center of North Bend. We handle most makes and models of car's, and we're experts in Japanese imports. 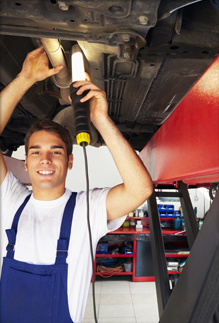 Our auto repair technicians handle transmission, electrical, brake, emission and engine repair services. We also do car tune-ups and specialize in computer diagnostics.